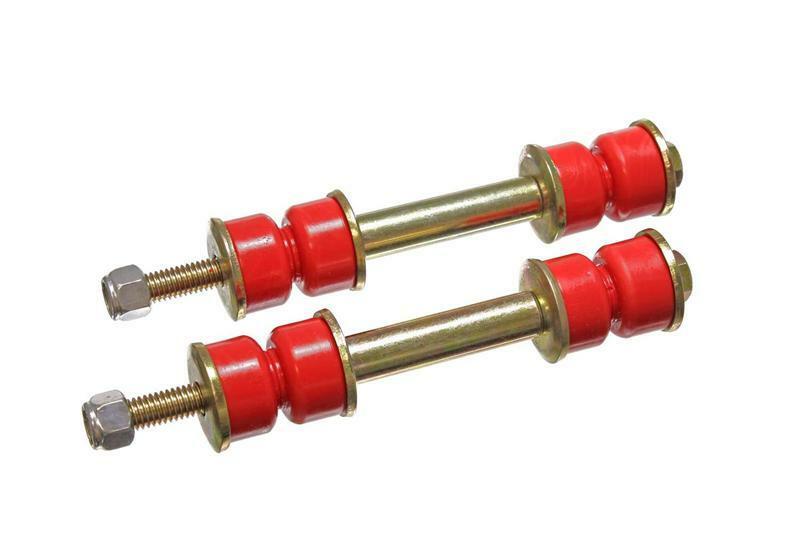 If your car’s handling is a bit on the sloppy side lately, replace your mushy rubber end links with Energy Suspension’s polyurethane end links. Polyurethane is unaffected by oil, smog, road salt, and most chemicals. It doesn’t soften, compress, or distort like rubber.